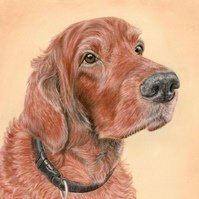 For many people, a drawing or painting of their pet is a very special way of honouring their feathered or furry animal friend. A pet portrait creates a lasting memory. 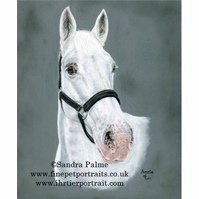 My name is Sandra Palme, I’m a professional equine and pet portrait artist based in South East England, in the UK, specialising in hand-drawn customised pet portraits primarily in pastels (the most popular) and charcoal. 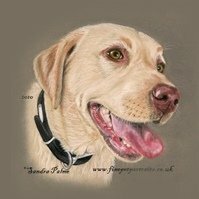 From 2006, I have accepted hundreds of pet portraits commissions of pets worldwide and would be happy to create a lasting memory of your dog, horse, pony, cat or any pet from your chosen favourite photo(s) in a portrait. When drawing a portrait, my aim is to capture your pet’s personality and essence together with their looks. From personal experience, I know how special your pet is to you! 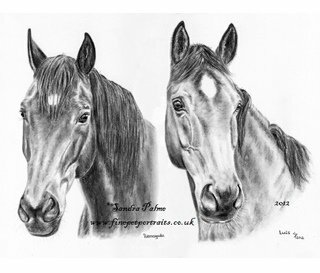 Please take a moment to have a look at my pet portrait galleries for some examples of my drawings of horses, dogs, cats and animal wildlife artwork, including head studies, full body and group portraits of pets in pastels or charcoal. This is just a sample of the completed commissions of my animal and pet portraits as it is impossible to display all of them. If you have a particular idea for a portrait, with a particular pose or for a montage of pet portraits, please let me know as I am always open to suggestions from customers. 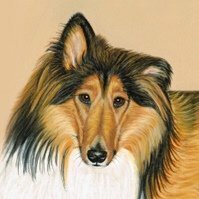 Custom pet portraits are drawn from your photograph(s). Generally speaking, the better the photograph, the better the completed artwork has the potential to be. It is so much easier to get the colours and the detail correct from a good quality photograph of an animal than it is for example from a poor quality one taken from a mobile. All that is required is at least one good reference photograph that you can e-mail. If you are thinking about ordering a portrait of your own pet or a friend’s, have a look at my information page and my price list and then contact me by filling in the contact form or by sending me an e-mail. I will always try to reply within 24 hours. 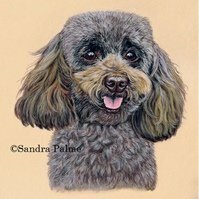 During the drawing process of all pet portraits, I will email scans of the ‘work in progress’ of the portrait and then once your portrait is completed, a scan will be e-mailed to you for approval. I only require a small deposit; the balance is not due until you are 100% happy with the artwork. 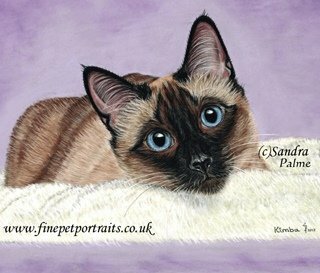 I pride myself in producing quality artwork in my pet portraits and guarantee a very good likeness of your pet. You can compare some of my drawings of pets to the reference photos they were drawn from on my ‘photo to pet portrait‘ page, read customer comments or see photos of happy customers with their portraits. Pet portraits gift vouchers are also available so that you can let the recipient make their own choice in their own time. 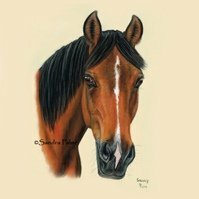 Most people use social media and if you are on Facebook, Twitter or Google Plus, please contact me and ask any questions with regard to pet portraits and drawings of animals. 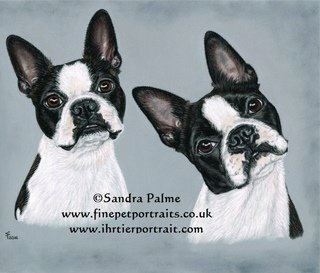 I often post ‘work in progress’ pictures and also the completed work of my pet portraits. Please note that I retain the reproduction/copyright of my artwork; no drawing may be copied, reproduced or published without my written permission. Content and ALL images on this website are copyright © Sandra Palme 2006 - 2019. All Rights Reserved. Sandra Palme, Surrey, United Kingdom.